Korea Post will focus on post-sales management capability of domestic placement agents when it assesses proposals from global general partners (GPs) for its $120 million to $160 million commitment to offshore private equity funds this year, according to investment banking sources. The move is aimed at enhancing post-investment risk management and achieving stable asset management at the government agency, amid growing uncertainties over financial markets. Korea Post, which provides postal and financial services, is set to release a notification in May to solicit proposals from foreign GPs for the planned commitment. In reviewing proposals, it will start to put more weight on “capabilities for maintaining and fixing” for a domestic placement agent. The key considerations for the selection of GPs are △ communication capabilities with LPs to keep LPs updated with the investment status △ clear asset management plans and △ communication capabilities with domestic placement agents. 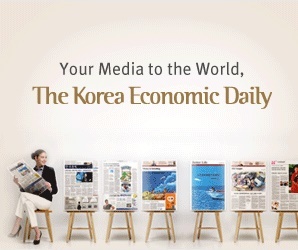 Korea Post plans to improve cooperation with domestic securities houses that serve as a fund placement agent, and frequently communicate with the agents, in addition to regular reviews of quarterly fund management reports. Korea Post plans to allocate $40 million to each of blind funds run by three to four global asset managers this year. It is aiming to invest in private debt funds principally, of which risk management against returns is seen relatively easy. According to South Korea’s Capital Markets Act, offshore funds are not allowed to market funds directly to investors, but have to go through domestic placement agents including securities houses. “When we invested in overseas blind funds, it seems that the role of a domestic placement agent ended after a one-time event,” said a source of the Korea Post. As offshore private equity funds in which Korea Post has invested are set to mature from the start of next year, the agency needs to increase the amount and number of overseas investments. Against this backdrop, Korea Post is working on the upgrade of its investment management systems. It will reportedly lift the ceiling on offshore fund investments per case to over $40 million from 2017. Korea Post has been finding it difficult to communicate with foreign GPs since its head office moved to Sejong City late in 2014, with a lack of officials in charge of overseas investment at the agency. By comparison, the National Pension Services and the Korea Investment Corporation, which have allotted a larger scale of offshore investments than Korea Post, have been in direct communications with foreign GPs through the so-called “Reverse Inquiry” provision, which requires foreign GPs to visit Korea to win an investment mandate.